This week, the In Retrospect series is looking back at Richard Price’s 1992 fiction finalist, Clockers. What follows is the second of a three part interview (parts 1 and 3 here), conducted on Sept. 6, 2007, at Price’s home in Manhattan’s Gramercy Park neighborhood, with NBCC member Mark Athitakis. Q: Are there large distinctions between then New York in the Wanderers in 1962 and Clockers in ’85 and now? A: They’re three distinct worlds. 1962 is pre-Vietnam, pre-drugs, pre-Reaganomics, pre-total racial polarization. It was a much more naïve time. When I was growing up, the projects were still functional. They were there because they were trying to give working-class people decent, affordable housing so they could concentrate on getting their family up to the next generation. When I was growing up it was never more than working class—a little rough-and-tumble, but nothing more than a punch in the nose. Occasionally somebody had heroin or something. It was about as working-class as you could get. Divorce was still scandalous. Drugs were still scandalous. Everybody had a father if he hadn’t died; nobody’s father just took off. Myself and 90 percent of my friends either went on to college or the Army or some functional job in the work force. Nobody just fell off the earth. Vietnam was coming up, the hippie thing was coming up, so people went a little bughouse. In that way, the world changed, but by and large it was a very, very functional world. But around the time of Clockers, it was like the end of days. With crack, the projects had become terminals. In the projects, generations always moved on from the generation that was born in the projects. Now you had generations stacked up in the same apartment. Drugs were devastating that world—completely ghettoized. All the white people had fled. Jobs weren’t there, and drugs were the only viable alternative. So either people were dealing drugs—but that’s not true. There were people doing drugs, there were people dealing drugs—that’s the way that people made money, and that’s what you saw. But there were probably just as many kids who were going to school , but those kids didn’t make the papers. You don’t wind up in the newspaper for graduating from highschool with a B- average and going to a community college. It’s just not newsworthy. That was the great invisible in there—all these kids that weren’t succumbing. I tried to capture that too in Clockers. But the drama, an the nihilism of that era was the ascension of crack, and the devastation. Now I’m trying to write about an area in Lush Life. The projects are still rough places—and some of them are still bad, real bad. But the ones I’m writing about on the Lower East Side, it’s still rough, but it’s nowhere near as rough. I don’t know if it’s because the economy has changed or what. What I’m trying to write now—the irony of a place that was Hell’s Hundred Acres in 1988, and you got whatever passes for yuppies, the hipperatti living there now. The great crime-fighter is real estate—it was a combination of Giuliani and real estate. Q: You mentioned the word Dickensian before, and I’ve been thinking about the fact that that’s not a word that gets around a lot with American writers. You’ve talked about Last Exit to Brooklyn and City of Night, but are there models for either of these two books, or what you’ve done since Clockers? A: No. I feel that my models came to me pretty early on, and it was who you mentioned—the early 20th century urban writers, like Richard Wright and Hubert Selby and Lenny Bruce—the language of Lenny Bruce. I like that rhythm, that high-speed, free-floating synaptic, anything comes out of your mouth, the acculturation, free-firing cultural riffs. Since then I sort of made my own way and made my own voice. I’ve read books that I admire, but nothing that made me, that taught me how to write. A: I know Tom Wolfe had been talking about my writing before that, when he wrote that essay, “Stalking the Billion-Footed Beast,” that sort of diatribe he had against minimalist writers, metafiction, this and that. He basically said, there’s a whole world out there, and he used me as an example. This was before Clockers—I was still writing screenplays, so we’re talking about my earlier stuff. And then when Bonfire of the Vanities came out, and I read it, it made me crazy, because I felt like, “I want to go back to writing books.” Not that I wanted write like Tom Wolfe. But he was writing about the kind of things that I wanted to write about and hadn’t written about in so long. The book itself made me nuts, made me want to write. A: Look, what can I say? Your ethnicity or you minority-ness, whether it be religious, sexual, racial, does not automatically make you an artist. Just because you suffer, doesn’t make you an artist. Jess Mowry, was that the book being written about? You don’t have to be a crack addict to write about it. Anybody can bear witness. I never for a second ever presumed to think I know what it’s like to be black. At the same time I also feel like, is everything between black and white so exotic that a white writer dare not write about being black? Because we have no human traits in common? In a way it’s like, the human heart is the human heart. I don’t sit down and think, “Now I’m gonna write a black character.” I’m gonna write a character. And this character happens to be black. And I feel like I don’t have to be black to write about a black character anymore than a writer has to be white to write about a white character, or a writer has to be gay to write about a gay character. Q: Was this a private back-and-forth, or was it something you discussed with others? Q: You’d did a two-part documentary about the crack epidemic for Nightline. Can you tell me a little about that? I went back and I tracked down all these people that I had spent a couple of years with. And some of the people I was still in contact with—weekly, monthly—so it was no big deal. Some of the people had just gotten out of jail. And I tracked them all down to do interviews, and ridealongs, went to their apartments with cameras. What do you think those photos of families grieving, those intimate family photos—somebody just shoved a camera in their face. You eat the hamburger, but you don’t think about how they butchered the cow. You see the photo, but you don’t think about the vile intrusiveness. I’m pulling back, and they’re like, “Are you nuts?” They’re getting the camera closer and closer. This guy winds up on national TV breaking down and crying. In that culture—that young-man street culture—he got punked. He got bitched. They had a bad local reaction to that. Q: Did you lobby to not have that included? A: No. But it wasn’t my choice. They just said, “Keep talking to him.” There are five professionals around—a director, cameraman—and they’re all going, “Look at this!” And it was very poignant because he was being very candid, it was a raw moment. But in that world, man, they thought that was really intrusive. Q: Have you kept touch, 15 years on, with some of the people who you talked to? A: I’d say I’m still in touch with about a third of them, including this morning. And then when they were making a movie out of Freedomland, I went back to some of those people. Anytime I can I try to get somebody work or something. Some people just sort of fade and go their separate ways. Other people you maintain contact with. Like the kid, Strike, from Clockers—I see him every week. stay tuned tomorrow for part 3 of this interview (part 1 can be found here). 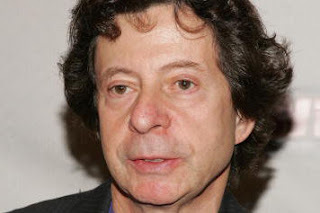 "Richard Price, in Conversation (Part 2)" was posted March 02, 2008.